Are they twins? Are they identical? Those are two questions that I get all the time. While my boys may look similar, there are identical twin differences that make people question me. My boys were born with a height and weight difference, and it has continued to this day. They also have a few developmental differences, which are a direct result of their conditions in the womb. My boys had a very unequal share of the placenta, as well as TTTS. 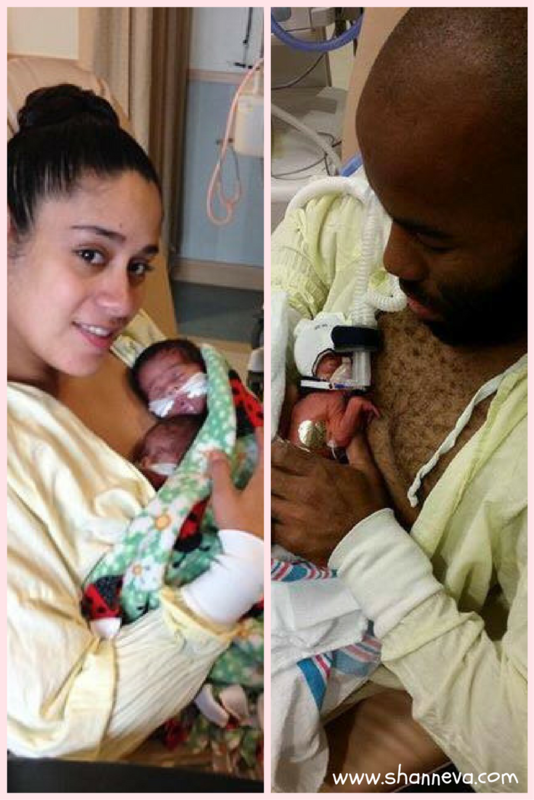 This resulted in them being born extremely early, one being a lot smaller than the other, and as a result, one struggling more in the NICU to survive. I try not to let people’s questions upset me, but sometimes it is just a painful reminder of the huge fight they experienced to even get where they are today. However, it’s also a reminder of what true miracles they are, no matter what their identical twin differences. Today’s mother has had a very similar experience with identical twin differences. 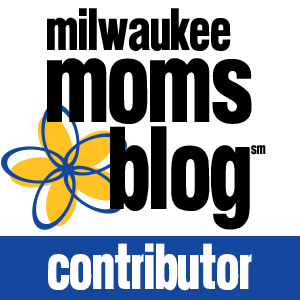 Her sweet girls share many similarities to my boys, and their mother’s story also brought back many feelings from my pregnancy. However, their story is unique and very inspiring. 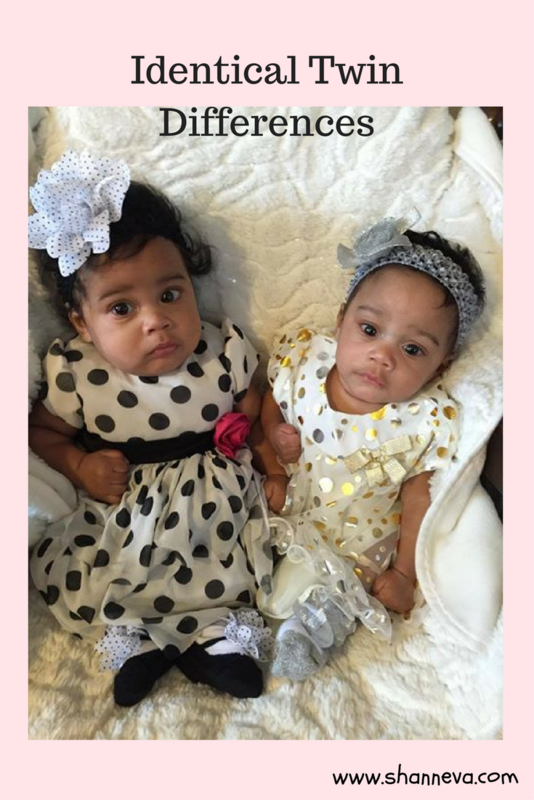 I’m very happy to introduce you to identical twin girls Leah and Layla, as told by their mom, Roselin. 1.Tell us about your babies. I have identical twin girls, Leah and Layla. They were born at 27-28 weeks on September 27th, 2015. 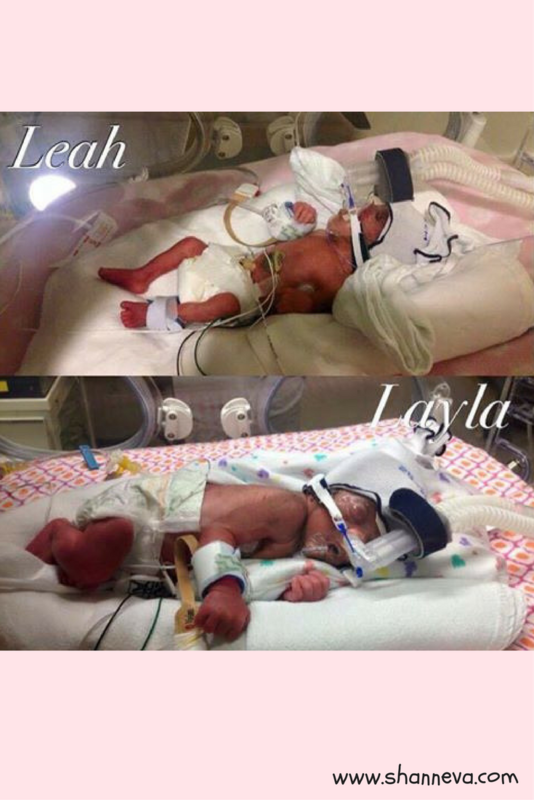 Leah was one pound, and Layla was three pounds. I found out very early I was pregnant. I was only about four weeks pregnant, and they told me I was having a miscarriage. So, I prepared myself for the worse. I went in for ultrasound because of my pain, and the tech asked two more docs to come in. I wondered what was going on, but they sent me home, and said they would call me after specialist looked at it. When they called, they told me to have a seat. Not only was my fetus still there, but I was having twins identical twins. They were rare because they were in different sacs and shared one placenta. 2.Do you know the reason for your premature birth? At 24 weeks pregnant, they said I had unequal sharing of the placenta. They also said that Leah wasn’t going to make it, so they wanted to do surgery to separate them to give Layla a chance to live. I said no way, and it was not in my beliefs. If God was going to take them home or one home, I would give them both a fighting chance. So, they told me it was best to admit myself to Albany Med. It was so difficult because I had three other children. My son Bryan was eight and, my two other daughters, Emma and Ava, four and three years old. I cried everyday, as I am very close with them, and so did they. But their father took on the job because we both wanted our twins to survive. I’m a twin, and I have a sister (fraternal) and their dad is also a twin with brother (fraternal.) I also have twin brothers, as my mom had nine of us. So, everyday I had at least two ultra sounds. My baby B, Leah, wasn’t growing. She had absent blood flow and low fluid. I cried and prayed and begged God to please let them make it. I received steroid shots. I was in the hospital for one week, then two weeks, and finally four weeks later. Leah wasn’t doing well, her heart rate was dropping and at 27-28 weeks they emergency C-sectioned me. Layla came out first, and it felt like it took them forever to take Leah out. I was so close to hemorrhaging, and I felt like I was gonna pass out, but God kept me there. I was destined to have my babies safe. Their dad told me they had made it out safe and looked well. 3.Tell us about your NICU stay. 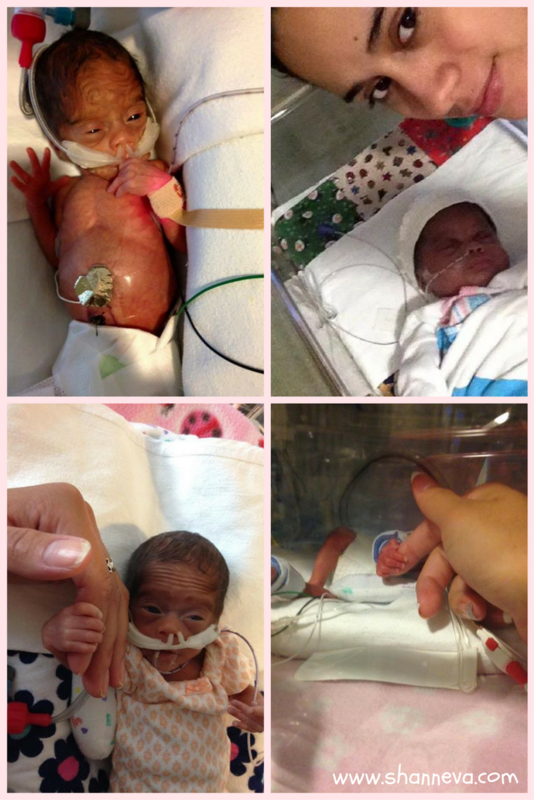 In the NICU they didn’t need oxygen at all, just room air. It was difficult for them to gain weight. At two weeks old my smallest baby B, Leah, had laser surgery in both eyes for ROP. That put her way back in weight so her stay was longer. Layla, my bigger baby, came home 2 days before Thanksgiving. I breastfed, so I had to pump, as well as bring milk to Leah. I never missed a day, and I traveled 40 minutes every day with her twin sister to visit Layla. Leah finally gained enough weight to come home in December. December 12, 2015, I brought both girls home. 4. How are you and your babies doing now? Both had bad reflux, so they were choking all the time. Feedings were very hard, and they were always hungry, but they were very happy babies. I had nurse at home every couple of days. Leah, because of her weight and early signs of CP (Cerebral Palsy), had early interventions suggested. So, we had PT for Leah then special ed. In the months after coming home, Leah was found unresponsive and sent by helicopter to Westchester county from Schenectady, NY. It was scary. She was in and out of the hospital, and almost didn’t make it three times. But we had so many people praying and supporting us. We stayed positive, although we couldn’t hep breaking down at times. A few months ago they said Layla, our biggest, was delayed. So, she started early intervention, and now both girls receive speech. We have such a wonderful bunch of women who are here five days a week with the twins. We have grown attached to them all. Leah’s eyes are great now, but she has severe asthma and takes two adult asthma pumps. Leah is finally over her hump from being sick all the time, but she is still so petite. At 20 months, She weighs 14 pounds, and Layla is almost 30 lbs. Leah is in 6-9 month clothing. I get bothered at times, but everyone keeps telling me that she will catch up. I am so happy to have my girls. I prayed so much, and said one day I will speak of my testimony. It was worth every tear and pain. I would do it all over again. They are both finally walking but barely speaking. The advice that I can give honestly is to pray. Stay strong because it’s all in God’s plan. 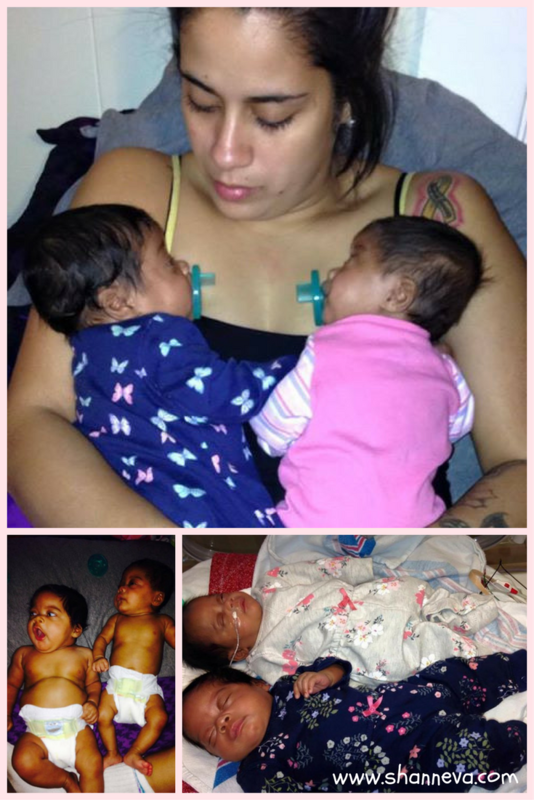 Thank you so much to Roselin for sharing her beautiful girls with us. 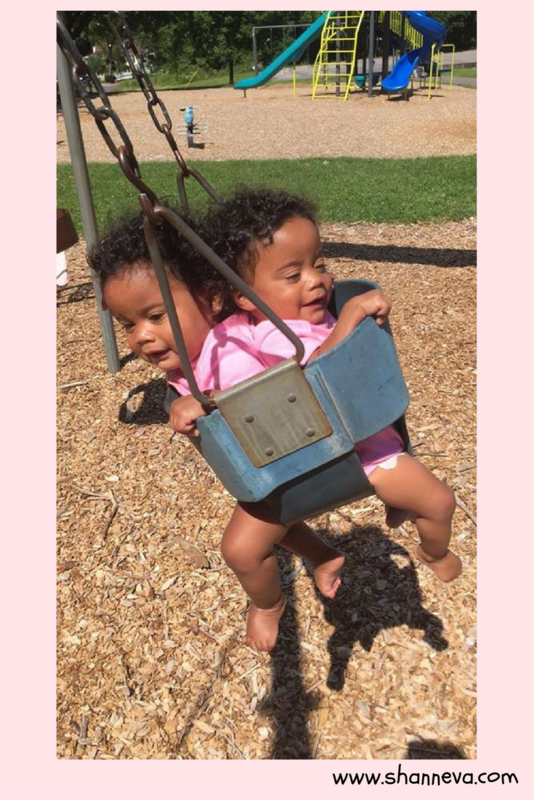 No matter what identical twin differences, I know that Leah and Layla will do amazing things. Please leave any supportive questions or comments below. What a miraculous story. Leah and Layla may not be exactly identical but they are equally beautiful. So interesting! My dad is an identical twin and I’ve always wondered about some of that. Roselin, Leah and Layla are gorgeous! Good job momma! These stories always amaze me, and I love seeing the photos of how the babies have grown and thrived! Such strong parents and family members. They are an inspiration to others. Wow. I never knew there could be so many complications in pregnancy. Thanks Shann Eva for enlightening me about all the miracle babies out there, and the courageous mothers that care for them. These two girls are beautiful, and I’m glad Leah is still fighting and growing. What a courageous Mom! I love that she fought for her baby girl and look how incredibly it turned out. 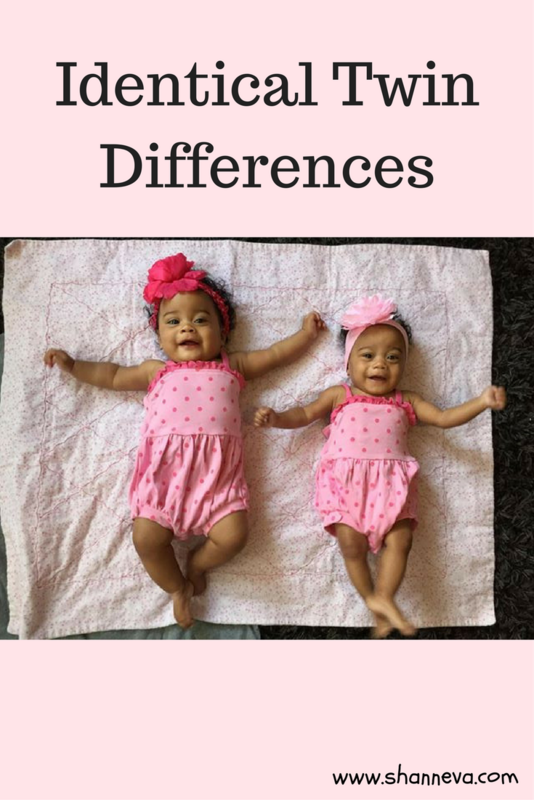 It must be incredibly difficult to have identical twins with such pronounced differences. Strangers comments can be harsh. I’m so grateful you brought this to our attention! oh wow-they are so precious! they DO look different, but they are so sweet and amazing and special! !